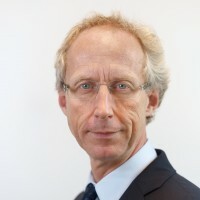 Peter Knip is director of VNG International, the International Cooperation Agency of the Association of Netherlands Municipalities (VNG). Next to that, he is chairing the board of the foundation The Hague Academy for Local Governance as well as the Capacity and Institution Building Working Group of United Cities and Local Governments (UCLG). Moreover, Peter Knip is a board member of the foundation Centre for Local Capacity Building (CLCB) in South Africa. In former times, Peter Knip has actively participated in the Dutch Peace Movement as member of the Interchurch Peacecouncil (IKV). Later on, he worked as a professor and advisor for the University of Utrecht and Delft. Over time Peter Knip has designed, developed and implemented several national and international programmes and projects in the field of local public administration reform and decentralisation. Capacity building of associations of municipalities and training institutes for local government has been the focal point of his international advisory work. He is a specialist in the fields of conduct in local government, municipal international co-operation, citizens participation and communication policy. Democratic and participatory local governance is crucial for sustainable development of our world.